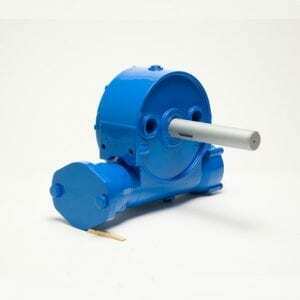 Ramsey Winch manufactures Worm Gear Speed Reducer models from 4,800 in/lbs. to 99,300 in/lbs. of output torque. From the smallest job to the largest, Ramsey has the right size, ratio, and torque rating for your application. 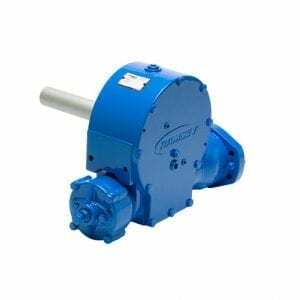 With multiple gear ratios available, we can match the output and specification to your application. 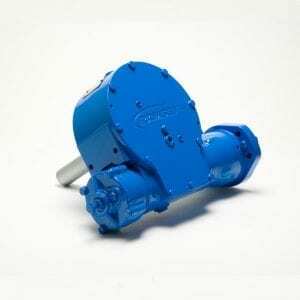 Our Worm Gear Speed Reducers have a side access cover for easy inspection and maintenance and feature an oil-cooled brake for positive load holding and load control. Custom output shafts built to your specification that provide a custom fit, reduce installation time, and simplify design of other components or equipment are available.